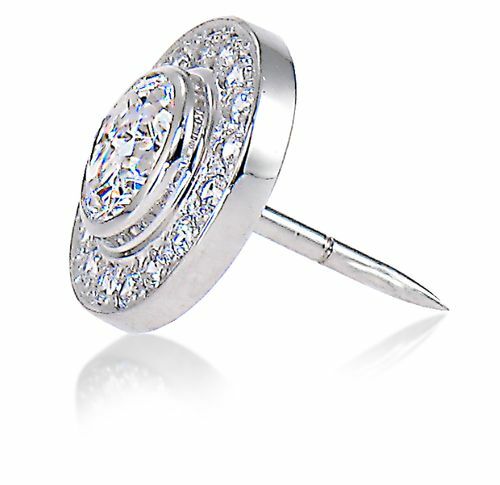 The Baldwin .75 Carat Cubic Zirconia Round Bezel Set Pave Halo Mens Lapel Pin 14K White Gold is certainly for the well-dressed man! 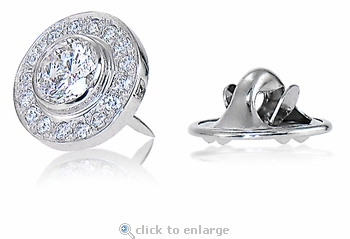 A brilliant .75 carat 6mm round cubic zirconia center stone is bezel set and highlighted with a halo of pave set cubic zirconia round stones. It comes standard with a clutch for the post as featured. 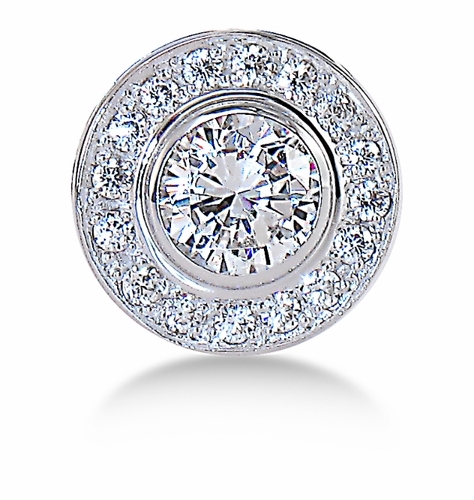 The handsome Baldwin Lapel Pin measures approximately 12mm in diameter with a total carat weight of approximately 1.75 carats. 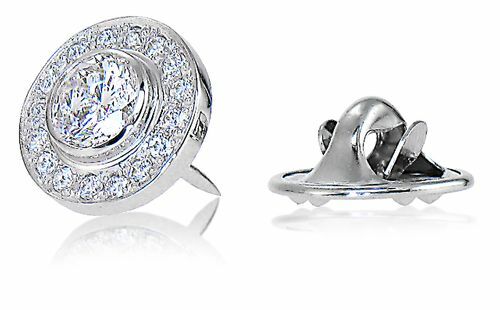 Available in 14K White Gold at this special price. A perfect gift for Father's Day or for any business man!